How did we first come to love houses? How does this affect our choices? When I was four years old… My parents built a bi-level ranch home in a brand new suburb. I remember that neighborhood vividly–row after row of houses that looked almost identical. I also remember being fascinated by all the rural houses we would pass by on our way to family holidays at my grandmother’s farm. The sprawling farms, rolling hills, beautiful red barns, and silos rising up to the sky—these colorful structures break up the landscape, intriguing the imagination of a child. I remember that first house I lived in as a toddler very well. Walking through the front door, there was a set of stairs going up and another set of stairs going down. In my little mind, this was an enormous structure—its purpose to fulfill my sense of adventure. I tried to see how many ways I could scale and descend the monolithic thing. As for the rest of the house—I loved to hide in all the little nooks and spaces. I believe I first fell in love with a house as a playground, as many of us do in our youth—as a place to just discover and climb. My bedroom in our bi-level ranch house was on the first floor, which was actually halfway underground and when I looked out my window, my line of sight met the surface of the lawn. I could see little bugs crawling, dew glistening on grass, and the underside of flowers my mother had planted just outside the window. It was enchanting, like I was a little mole living in the ground. My love of architecture, design, and renovation came a little later when my family relocated to the countryside. My parents found an old farm house that was practically boarded up, but that possessed much potential. There was a basement, large kitchen, bathroom, two living rooms, and four bedrooms. My parents bought the run-down farm house for about $8,000 in 1972. My father was very creative, a natural carpenter. 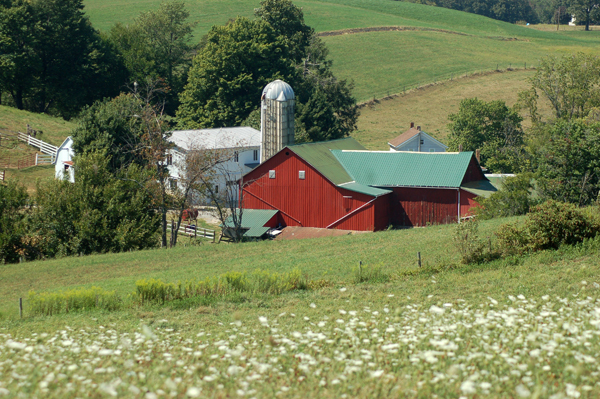 Over a period of eight years, he completely rebuilt that farm house and the red barn behind it. I really enjoyed working alongside my dad, handing him tools and holding things in place as he rebuilt our home. I was fascinated with building materials and interior design. Reaching adulthood, I dreamed of different houses that I might live in. Mostly I dreamed of getting a mortgage in order to buy a fixer-upper or old farm house—something with lots character, my own personal little mansion. I was hooked on American architecture, in love with the American Dream of home ownership. I had definite ideas of color pallets, natural wood floors and artfully painted interiors and exteriors. I had been chasing this dream of home ownership for a long time, until finally one day, I realized that a mortgage is unattainable for me. I am not alone. More Americans are finding that a mortgage is not within their budget, nor a sustainable choice in retirement. We have become a society that is deeply rooted in this mortgage system where we feel that in order to achieve the American Dream and to feel good about who we are as members of society, one has not arrived until one attains home ownership. I think this is an illusion for a lot of people because unless a you are wealthy, you do not really own your own home until it is paid off, which takes decades to accomplish, of course. For many Americans who are paying 20 or 30 years on their mortgages, this often means being on a tight budget, often living paycheck to paycheck in order to achieve this, which encourages working overtime, which leads to losing out on a lot of life, and losing out on a lot of time that could be spent enjoying family and just living life, spending time doing hobbies, traveling, or vacationing. A lot of Americans are stuck in a cycle of servitude to banks, working at a job just to pay a mortgage, to pay utility bills, and to keep food on the table. We do this to keep a roof over our heads; but also we do this because largely we are in love with the architecture and size of houses which we choose. For a couple hundred years or so, Americans have been in love with different styles of houses that just became the norm by happen stance—like Victorian houses, farm houses, ranch houses, and Craftsman houses, just to name a few. We come to love that which is familiar–what about embracing smaller, modern, more efficient homes? So, how we first came to love houses…I feel this is at the root of the problem of affordable housing for working Americans in the United States, including myself. Because I grew up regarding houses in this affectionate way that I have just described, I always pondered home in a very emotionally biased way. I mostly viewed homes aesthetically, like so many other Americans do. I never really viewed a house as a useful tool for living, in the same way a car is a useful tool. What I am getting at is the concept of viewing home, as a tool that serves our needs and makes life easier—as an asthetically pleasing, yet efficient shelter that frees up time and money, rather than being a structure that consumes time and money. Mortgages definitely consume time and money and traditional houses that are older frequently are not very efficient and do not make our lives easier. I have let go of my affection for traditional American houses and architecture. I am now free to view home for myself as a tool that allows me to live within my means and allows me to not be indebted. To sum up…on one hand, there is this American love affair with architecture and interior design (self included). On the other hand, I think we have to break away from this old cultural trend–this real estate addiction–and start really thinking about how our homes can serve us and how our homes can be tailored exactly to meet our desires, our dreams, and our needs as we live our lives. I think this is what a home should do. With all the amazing building materials and energy technologies we have now, there are so many options for building a dwelling in a really inexpensive manner and building in such a way that once the initial cost of a home is paid, there can be a minimal cost to live in it and have affordable access to basic utilities. An attractive house that provides all the amenities and services that anyone wants and needs, but that requires very little time and money to maintain it—wow, this is a completely different approach to viewing a home as not a place that we love to admire and happen to live in, but as an extremely efficient, yet still attractive shelter that frees us to go out and really embrace living. 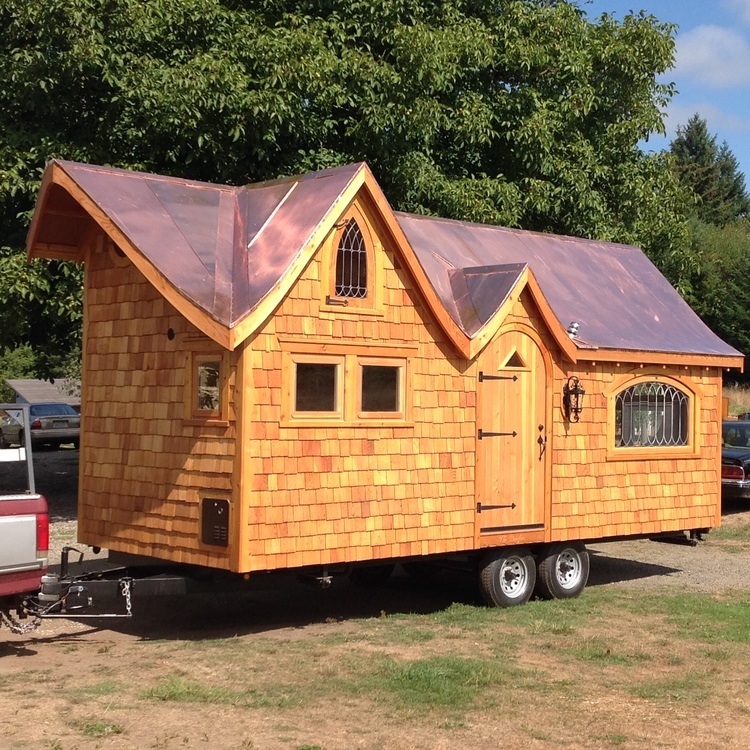 These practical thoughts came to me much, much later in my life—in fact, I came to these thoughts about four years ago when I first discovered the tiny house movement. 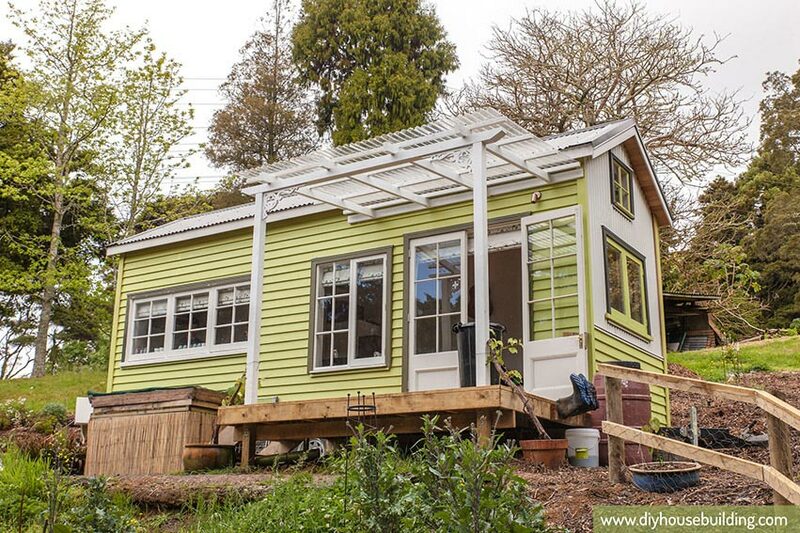 Building and living tiny or at least smaller is one way to solve this housing problem. I think much of the time, our love affair with houses, with architecture, and with interior design—these are going against our ability to simply live and exist. I don’t want to fall into this trap. These days I still admire beautiful architecture; but, I ask myself if my choice of house is conducive to me enjoying myself and living my life the way I want to live it. The beauty of designing and building a very small home of one’s own design from the ground up is that we don’t have to give up much of the architecture we have come to love–maybe just a “little” bit of space.